Tina and I are in NYC for work. 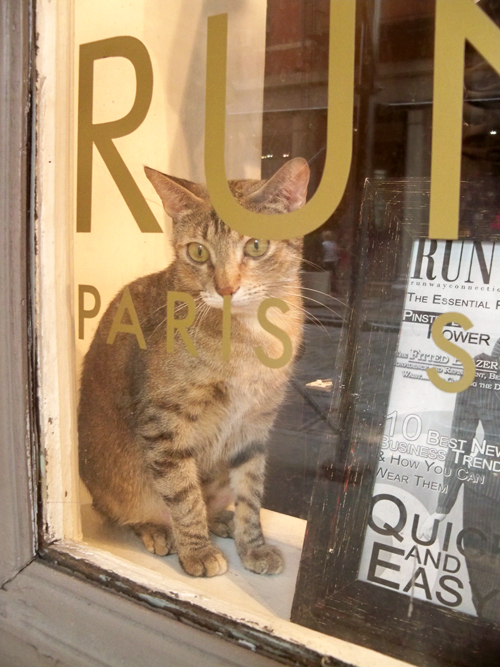 I have one of our newest cameras and just had to take a picture of this kitty in a shop window. It's the Kodak Z950 and I luv it!